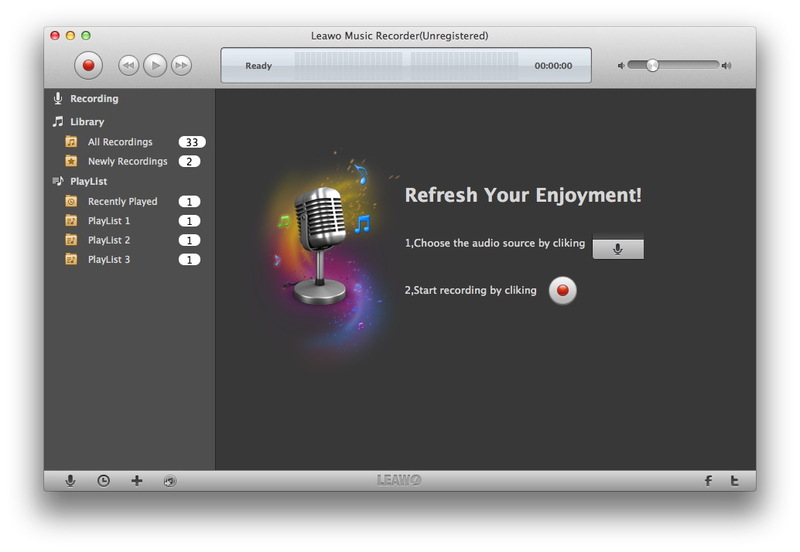 Leawo Music Recorder for Mac (http://www.leawo.org/music-recorder-mac/) is the best music recording software for Mac OS X. As a professional music recorder for Mac, it could act as a streaming audio recorder for Mac to record Mic or other built-in input audio stream, and also record computer audio stream or online music just like an online audio recorder for Mac. Alongside the function of recording audio on Mac, this audio recorder software for Mac OS X also features multiple functions to improve music amusement, including: effectively manage recorded audio library, complete recorded music information from online database for free, automatically cut different songs during recording, support manual edition to complete recorded music info, play recorded audio files, etc. Moreover, Leawo Music Recorder for Mac allows you to set recording start time and recording duration, add recorded audio files to iTunes in one click.